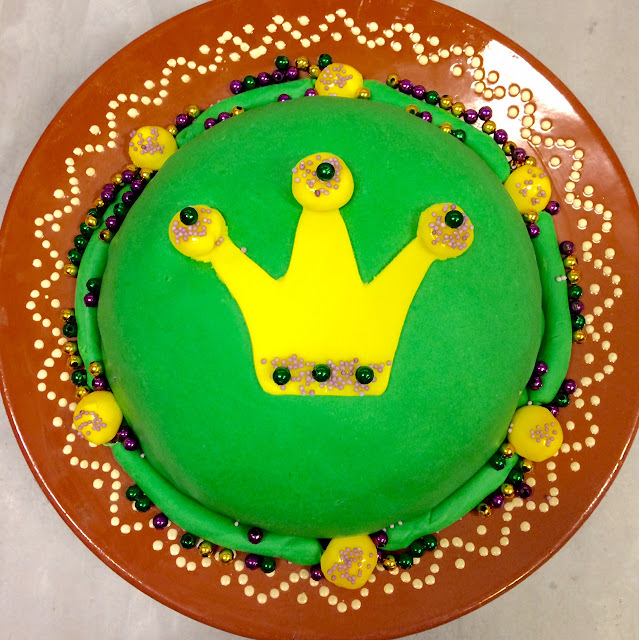 Happy Mardi Gras, y'all! 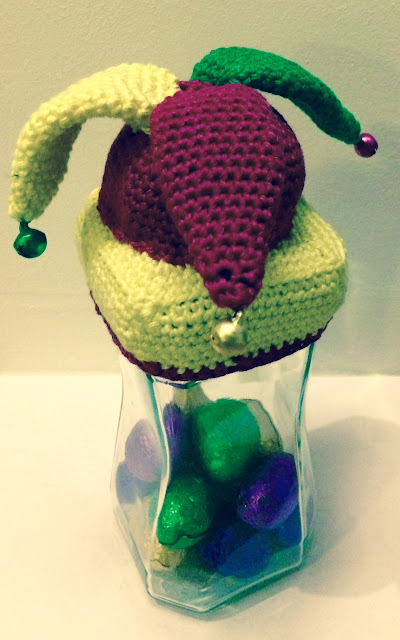 And happy variation on Mardi Gras of course (carnaval, carnival, carnevale or whatever; different name, same party). Last week I posted the Heart Shirt to make this week, but I found out later that the link doesn't come with a pattern, so I had to make up the pattern myself, but I think it pretty much looks the same as the original. I love the dark blue of the shirt in combination with the bluish gray of the yarn. It was a left over of something else I made long ago, but it works out great against the background color of the shirt. On work days, when I or my husband can't pick up the kids after school ourselves, they go to childcare service. 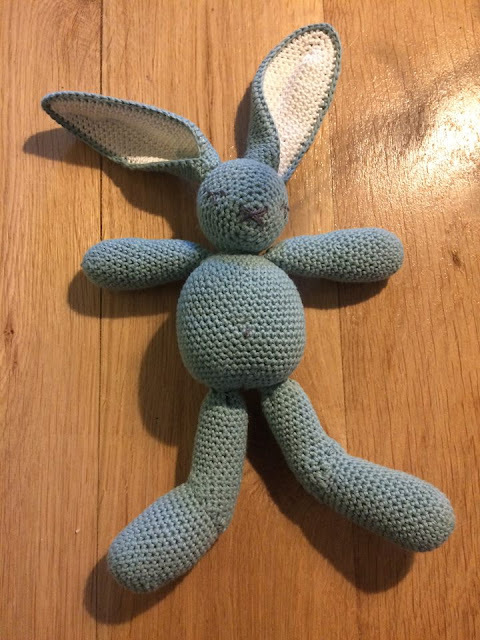 One of the teachers has found another job, and although my daughters only go once a week to childcare service, she has taken care of my daughters for quite some time, so we wanted her to give a present. 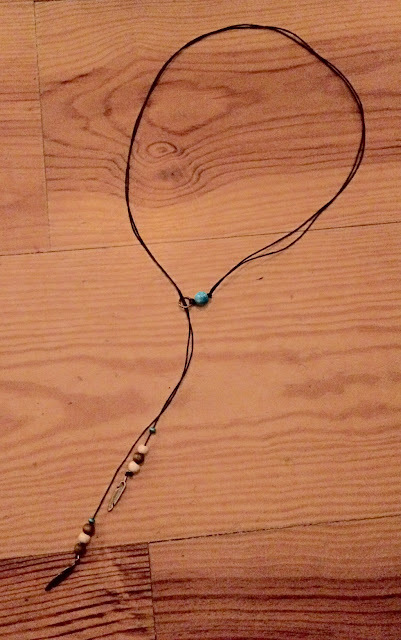 I made a couple of Ibiza Style necklaces my daughters could choose from. The other necklaces they can sell on King's Day, which will be at the end of april. Together with these necklaces we gave her a large wooden box of daffodils and a handmade postcard. A couple of weeks ago it was Chinese New Year and because there's a Chinese neighbourhood in the city I live in, Chinese New Year is celebrated here in The Netherlands, too. For years now I want to go there with my daughters, because I think the fire works and the dancing dragons look quite impressive, but somehow I've never ended up there. Other appointments, work, you name it. 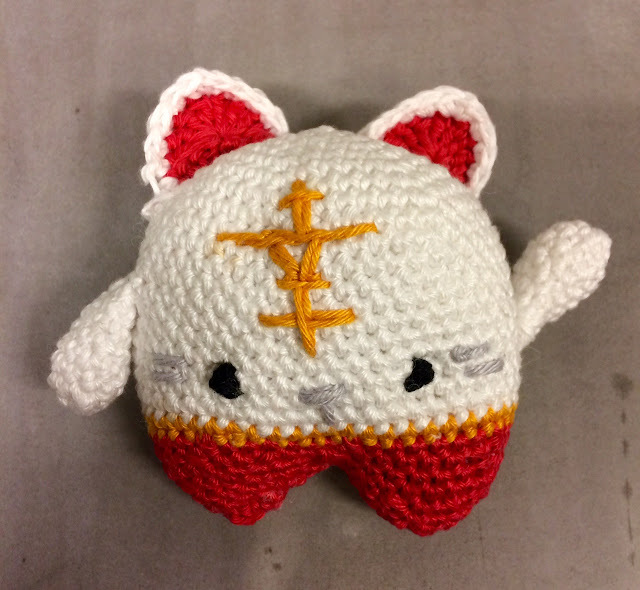 This year I was pretty sure we would make it, I already started to crochet a lucky cat, but no. Didn't work out again. But here's the cat. The pattern is from Lalylala.The Chinese sign for Lucky I found on Google. 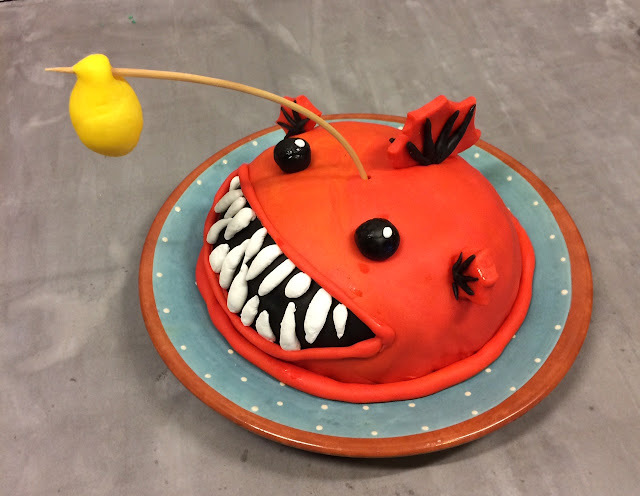 My Angler Fish Cake was featured this week by The Cottage Market!! And here's the Thai Pumpkin Soup, just as delicious as it sounds! Definitely one I can recommend! And I didn't even alter the recipe. Just forgot to add pumpkin seeds for garnish, even though I had them in my pantry. 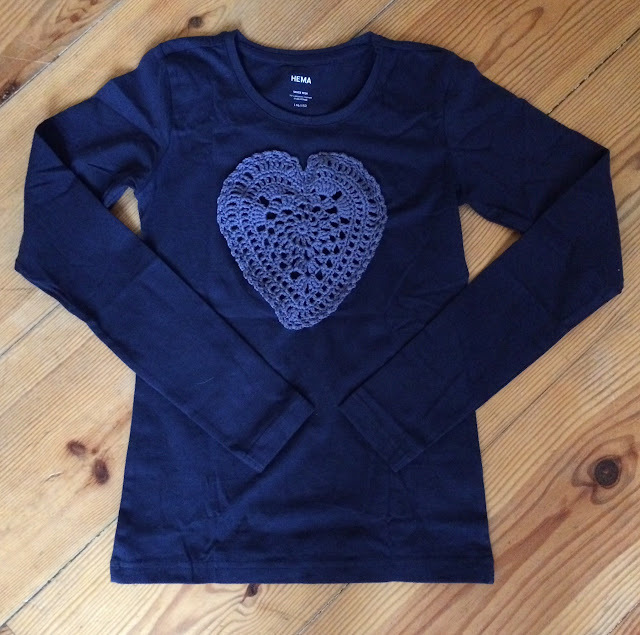 For Valentine's Day I wanted to make this shirt with a crocheted heart for my daughter, but due to lack of time and other (birthday) projects that had to be finished first, I'm way too late. But Valentine's Day or not, the shirt is still cute, so I'm going to make it anyway. You can find the shirt here, in case you want to crochet along. 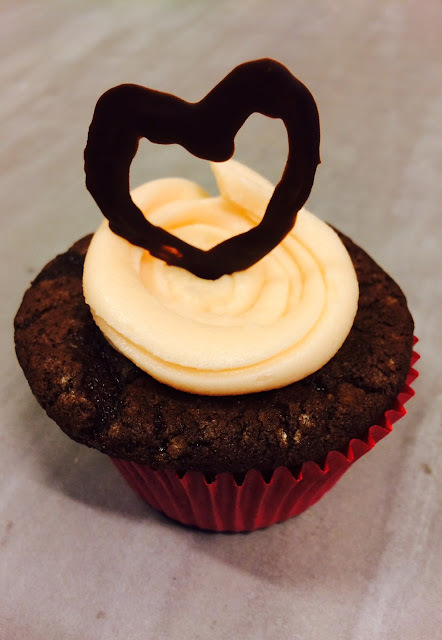 The Emoji Cup Cakes I made for my daughter's class as a treat for her birthday a couple of weeks ago looked pretty nice, I thought so myself, so I got a bit presumptuous and wanted to make something for Valentine's Day, too. But decorating cupcakes, I just don't have it in me. The Emoji Cakes were just one of my rare lucky shots, but I guess I have to wait about five years before there will come another moment that the constellation of the stars is right enough for me to decorate cupcakes in a nice matter. They sure weren't when I made this. Cake too big, butter cream not pink enough, chocolate heart too weak to stand up right for long. And the cake above was the prettiest of twelve. But, the taste was good! 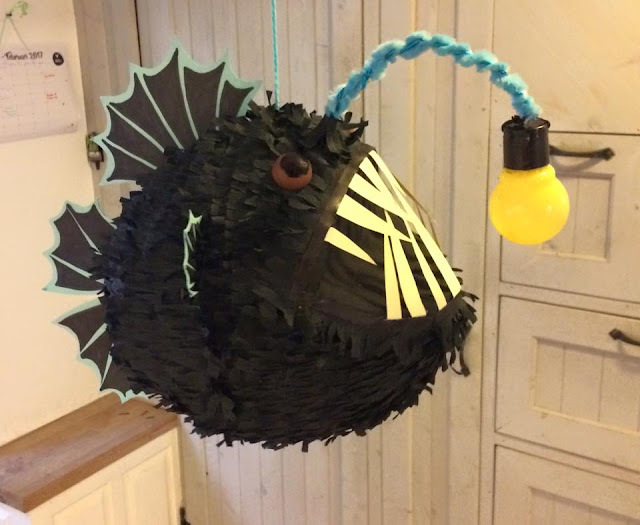 My Angler Fish Pinata was featured by Sew Can Do! So glad someone noticed how I put all my heart and soul in this thing 😄! 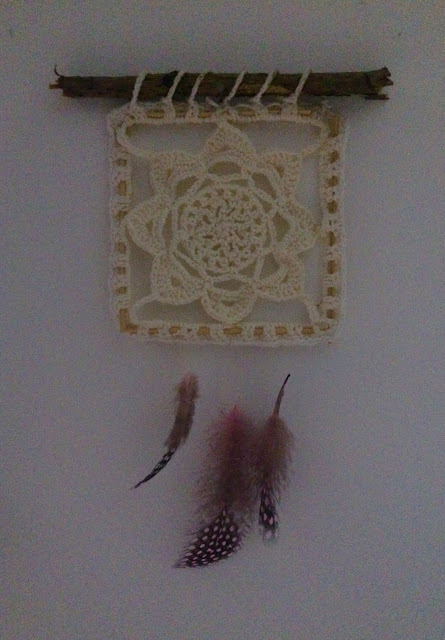 Just something easy to make: a square dreamcatcher. 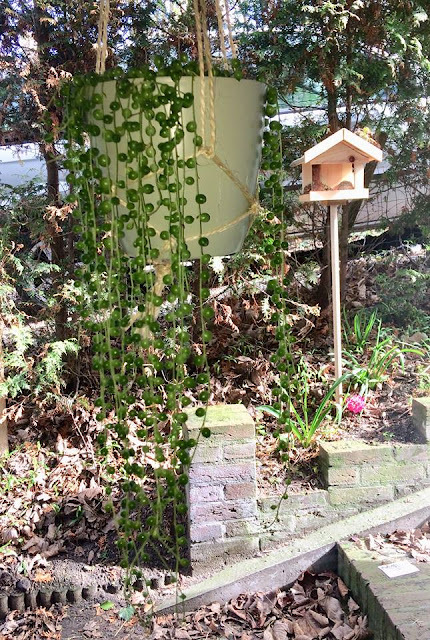 I hooked a granny like square, kept it square by threading large coctail pickers through all four edges, hung it from a little twig I found in the garden and added some feathers. Thank you, Rhondda and Helen! 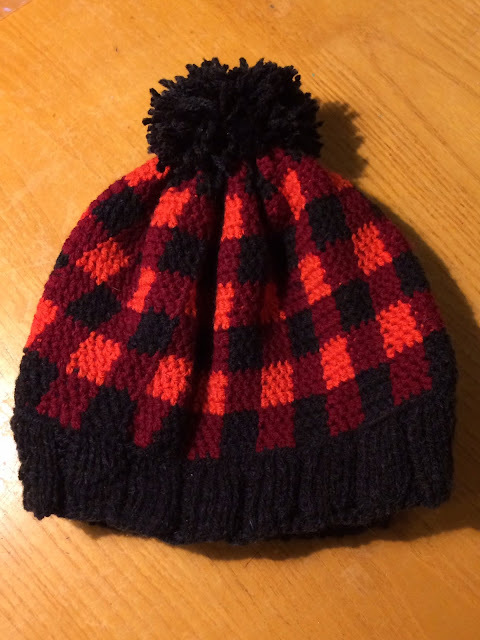 A couple of weeks ago I bought this plaid shirt for my daughter and now I made a matching hat. 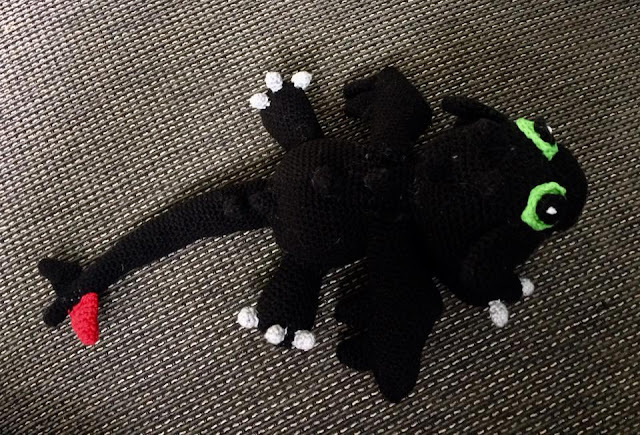 She didn't like the grey pompom on top in the original pattern and wanted a black one. I've rooted trought my pantry again and found a couple of cocosmilk cans that I purchased a while ago to make Thai food with, because the Thai kitchen is one of my favourites. After a short Pinterest search for cocosmilk, I found this recipe for soup. Soup is the best. Healthy, easy to make, filling and even my young daughters like it. And because we had to exploit the theme to the max, we opted for a cake looking like an angler fish again. 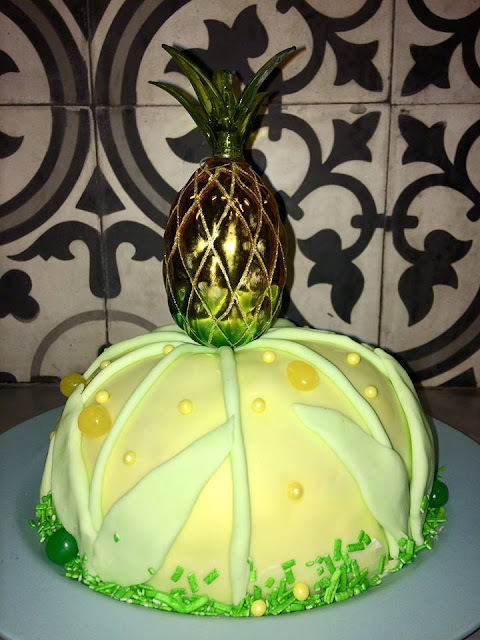 And, as said before so many times, while I'm not very good in baking and decorating cakes, this copy has surpassed all expectations of my own decorating skills. Okay, it doesn't look like a Cake Boss cake at all of course, but I'm pretty content. This week the last part of my youngest daughter's birthday takes place. She still has a crush on angler fishes, so I had to find inspiration for a pinata in the direction of deep sea creatures. I really dislike boasters, but this pinata... my best so far! And this is what a real angler fish looks like. My Valentine's drawing was featured by Scrapality! 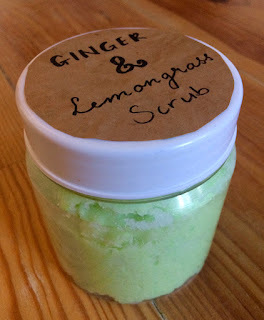 And here's the scrub I promised to make last week! In the end I used the scrub I found on Pinterest only as inspiration, because I sticked to my own recipe. Instead of olive oil, I used cocos oil. For the ginger I didn't use essential oil, but fresh grounded ginger. Keeps your skin youthful, they say, and who doesn't want that? 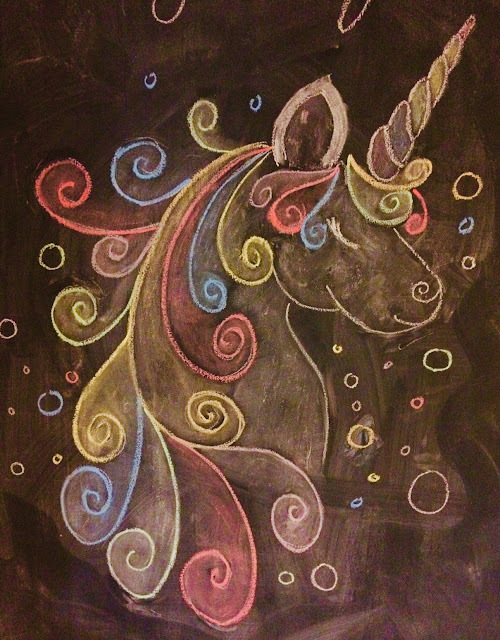 To give it some color, I used a couple of drops of yellow and green food coloring.